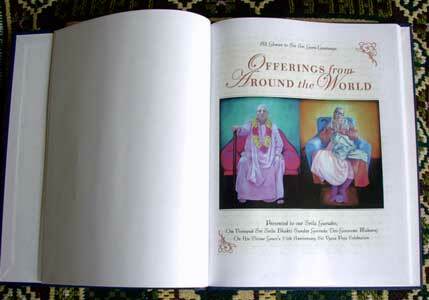 Murali Mohan Prabhu and Vrndavanesvari Didi presenting the Vyasa Puja offerings to Srila Gurudev, in both audio and book form. 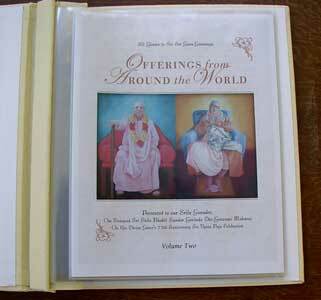 For all the devotees who submitted offerings, His Divine Grace said the compilation was a "very special gift." 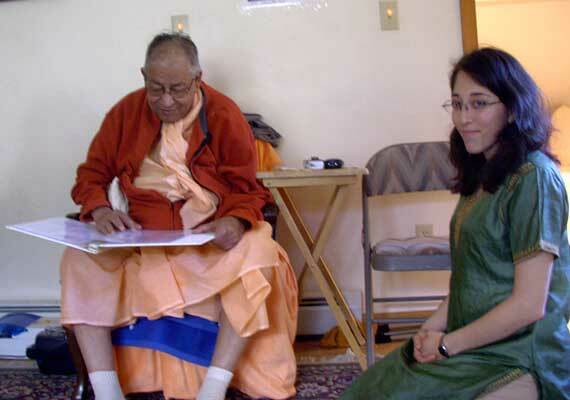 Srila Gurudev listening to the audio offerings made from a few sannyasis, senior devotees, and pilgrims in India as a pilot project. Next year may include more. Viewable online here. 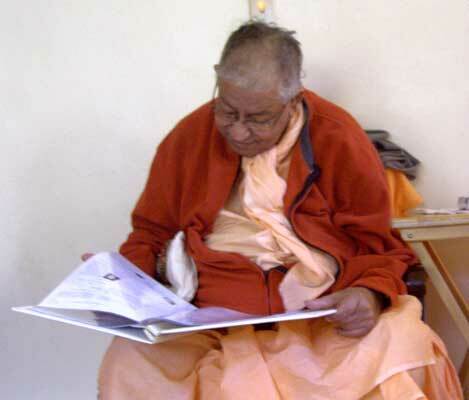 His Divine Grace looking at the second volume of the Vyasa Puja book. 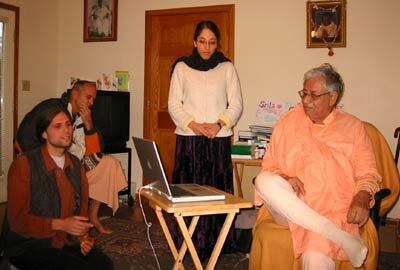 With the editor of the Vyasa Puja book, Vrndavanesvari Didi. 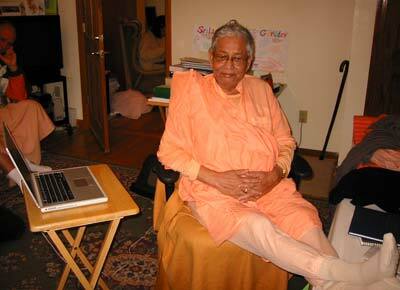 Gaurahari Prabhu of California designed both volumes, and a PDF version of all offerings will be available on the Internet soon. 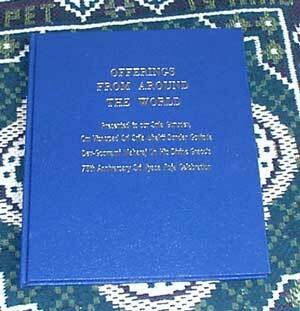 The first volume, professionally hard bound. 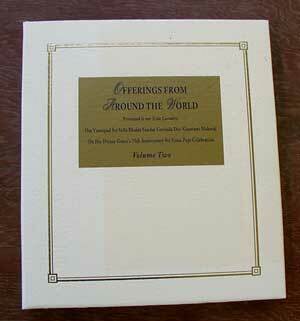 The second volume. Cover lettering by Sarvabhavana Prabhu.